A group of Atayal Aborigines from Smangus Village in Hsinchu County yesterday said they would appeal a Taiwan High Court ruling that sentenced members of their tribe to prison terms for removing a fallen tree in their village forest. "We did not steal anything. We live there and of course we have the right to handle the environment were we live," said Icyeh Sulung, head of Smangus Village, in front of the court yesterday. "We will appeal this case to the Supreme Court," he said. The high court sentenced three men from the village to three months in jail on charges of theft for removing a fallen tree on Sept. 1, 2005, from a forest. The men said they removed the tree because it was blocking the road after Typhoon Talim blew it down. The three villagers moved the tree to the side of the road after cutting it free from its roots. The Forest Bureau then removed the tree, leaving only the stump. The three villagers removed the stump and roots and took it home, intending to make the root into a piece of commemorative art. The high court judges said they respected the fact that the tree was located inside the village, but added that the forest belongs to the bureau and not the villagers. Removing the remaining part of the tree was illegal because it belonged to the government, the court said. What happened is that a tree blew down in a storm, and then the aborigines move the tree, and took the stump home. The government's view is that the stump belonged to the government, so taking the stump home was theft. A three-month sentence for stealing a stump? All over aboriginal lands river beds have been illegally mined for gravel, forests chopped down for illegal bamboo and betel nut stands, animals are regularly poached, land is grabbed by developers for resorts and recreational farms, streams and reservoirs polluted by untreated run-off, but if a couple of aborigines take out a stump, suddenly It Is A Really Serious Thing. It reminds me of the kind of mindset one might find in the Raj, when in the midst of an El Nino-driven famine that killed millions, the British insisted on collecting every last penny of tax from farmers starving to death....somebody in the government needs to apologize loudly to these men. "It is high time we address these issues. With this new, specialized task force we hope to make tourism safer in our forest areas and react more quickly in the event of forest fires. We are in dire need of better control over poaching and illegal deforestation," COA Chairman Lee Ching-lung was reported as saying in a local English newspaper. Police officers with powers of arrest will be stationed at government forestry agencies, including the Taiwan Forestry Bureau (TFB) and the bureau's regional offices throughout the island. Officers from the government's forestry departments will work alongside the new police force to deter violations. Local government spokesmen have welcomed the creation of a police force dedicated to protecting Taiwan's forests. "We have faced many difficulties guarding the forests," said Yeh Sian-liang, head of the TFB Chiayi office. "Regular forest rangers are not equipped with professional training, nor are they empowered with the authority to arrest people who break the law." 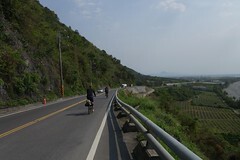 According to Yeh, his office is responsible for patrolling forested areas in no fewer than seven counties, including Nantou, Yunlin, Tainan and Kaohsiung. This is an area of 144,979 hectares of state-owned forested land. Lee explains that large tracts of state-owned forests are rented to farmers. There is a provision in the lease that 70 percent of the land they rent should be forest, but those farmers mostly ignore it, planting cash crops like tea and betel nuts instead. They also frequently build roads that block vital waterways. "I warned years ago that these places were fragile, that people shouldn't be living there," he says. "But all they see is quick financial profit, not the lurking danger. And even though the farmers were using the land illegally, the Council of Agriculture still went right on sponsoring them [by subsidizing certain crops, including tea]. This shows lack of cooperation on the part of concerned government agencies." In other words, take a stump home from a windfall tree, and you get a three month sentence. Deforest the land that you've rented from the Forestry Commission, and... nothing happens. And the DPP government wonders why it can't fix its relationship with the aborigines!Sure, these policies date back well into the KMT period -- but the DPP can hardly complain about Chinese expansionism, and then turn around and do the same thing to the aborigines. You can bet that come election time, the Smangus tale is going to be told and retold in aboriginal hamlets all over the island. I hope someone in the DPP will step in and fix this problem pronto. UPDATE: David says you can sign a petition on the Smangus blog. It has been a while since our last meeting and I hope you have all had a good summer. To get back in the swing of things, we will have a meeting on the first Saturday of October, October 6 at Shannons. I have several interesting speakers for the coming year but none are available in October. Despite that, this will give us a good chance to catch up with each other and I propose that people bring some information on projects that they are working on or that they are interested in. Make it a "What did you do last summer?" or "What are you working on now? etc. I will bring some xeroxed pages from the black list books that I saw over the summer and pass them around..
Shannon's is at #6 Dunhua North Road, (phone 2772-0948) at 10 am. Shannons is a half block south of Nanking on the west side of Dunhua. Breakfast options will be the same as last time, however I have the chef looking into other choices--but will only have that confirmed during the week. Since it has been a couple of months since our last meeting, drop me a line if you expect to be attending. I don't know if Syd is back yet, but he is scouting the prospects of having his book made into a movie; if he is back, he can fill people in. The Shannon is on Tun Hua between Chang-an and Nanking, next to Dan Ryan's, and across from the Concert Venue. The room is large and there is plenty of space. See ya there! Mr. Chen certainly has political calculations in mind as he presses the U.N. campaign and proceeds with a referendum on U.N. membership that will be held at the same time as the presidential election in March. But to dismiss this entire phenomenon as a political scheme is wrong, too. Increasing numbers of people in Taiwan do not think of themselves as Chinese. They have made extraordinary progress in building a vibrant democracy and creating one of the world's economic powerhouses. They want credit for those accomplishments. Ignoring this yearning will not make it go away. Beijing's merciless campaign to deny Taiwan international space is strengthening a collective sense of grievance and — yes — a separate identity. All nations must help find a middle ground that acknowledges the remarkable gains made by Taiwan without crossing the red lines that would provoke a crisis. Respect for Taiwan, rather than fear of China, should be the guiding principles of cross-strait relations. It would pay dividends on both sides of the strait and for all nations of the region. When the drums of separation roll in Quebec, Nova Scotians are naturally concerned about the effects that separation of Quebec would have on the Acadian people, most of whom do not want to see a separate Quebec. Is it too much to ask that the editorial board at The Chronicle Herald give a thought to what the people of mainland China think regarding the province of Taiwan, and about political machinations in the multi-party democracy of Taiwan? Practicing fan dancing in the morning at NCKU. Entering the elevator, I found myself among a bevy of young women wearing t-shirts from a university department I hadn't seen before. "So," I essayed, "What department are you all from?" "We're from the Department of Senior Citizen Welfare," explained one. There was a pause, and then another, eyeing me, gave vent to a jocular "Yes! And we'll be helping you soon!" Seen on a student t-shirt. Being omniscient is just like being a psychic -- it's easy if you can get the mark to supply all the information for you. "Patrick?" I asked the man. "Jay!" He laughed. I turned to the young woman, a pretty, bronze-skinned girl. "Jamie!" She looked familiar, like I'd seen her before elsewhere. I studied her. "Haven't I taught you before? I know you," I began cautiously, "from OCIT...."
My omniscience is in good hands. A breakfast place near NCKU. Coming home today we passed my neighbor standing by the side of the road with her daughter, who is half my daughter's age. As we passed, she gave my wife such a terrifying look of utter heartbroken despair that we drove around the block again to see what was wrong. "My son! My son!" She wailed as we pulled up. "I got a call from the school! They said he's been kidnapped." "The Educational Affairs office called," she said, fighting back tears. "Then the kidnappers called and said they wanted me to take out $200,000 and wait at home. 'If you don't take out the money,' they said, 'we're going to kill him!'" My wife quickly explained that the whole thing was probably a con and her son was no doubt safe at the school, a local junior high. Fake kidnappings are one of Asia's most common cons; we've encountered it several times. "Did you call the school and double-check?" "The call was from the school!" "Are you sure?" My wife demanded. Dawning hope. We got the boy's name and class, and called the school while the mother waiting anxiously outside the gate of her home for the kidnappers to appear. The school authorities promptly found the boy and brought him to the phone, and we brought about a tearful reunion between mother and son, much to everyone's relief and joy. Afterwards my wife chatted up the teacher at the school, who said that with the new semester and many new children starting at the local junior high school, parents were full of vague fears for their children, easy prey for amoral mobsters. How do such people live with themselves? UPDATE: The papers reported yesterday that parents of dozens of new kids were hit with this scam in Taichung yesterday, with more than ten falling victim. It is very easy to get hold of class lists -- cram schools I know buy them from teachers on a regular basis. The schools themselves need to warn parents the first day about this scam. And I must say it again: here is an issue where an inexpensive all-out campaign can save people lots of money. I'm an advisor again, this time to the third year students. Yesterday after Business Writing several of them sat down with me to explain their situations. They were applying for the subsidy for low-income students, and I had to fill out the forms and interview them. I then had to write up their stories on the form. A-gu reports on the upcoming National People's Congress in China, which plans to map a new Taiwan policy. Jerome points out that where China is concerned, we're feeding the bully. Craig takes beautiful pictures of Confucius Birthday ceremonies. Poagao takes beautiful pictures in Danshui. Talking Taiwanese reviews a report on Taiwan's cram school system. It's good to see this; far too many presentations on Taiwan's educational system don't mention the cram school system. Good work! The Iranian leader's visit to the US and speech at Columbia drew some attention in the local English blogosphere. Here too. The Foreigner rips Ma Ying-jeou for lying about the flag incident. And points to some articles on name rectification in Myanmar/Burma. The Only Redhead posts long and wise on UN day in Taiwan. The Real Taiwan does some photojournalism on the destruction of an old military village in southern Taiwan. Pinyin News comments on the A-do-ga restaurant in Taiwan. HUMOR: Chinese Authorities Execute 10 Million Recalled Toys (via Chewing in the Chung). Hilarious. AWESOME NEW TECH: Gigapan for massive panoramas. 2007 marks the 6th year into the Shining Taichung Arts Festival. Continued this year, we have again incorporated the much loved Jazz Music Festival and Colorful City Festival as parts of program. In addition, we have teamed up Modern Art Gallery, Taichung to win the permission from the Artco-France Foundation to organize this exhibition. 32 pieces of Rodin's bronze sculptures, including the international renowned works, the Thinker, Monument to Balzac and the Age of Bronze, along with more than 100 pieces of Rodin's prints will be on display in this one and only exhibition in Taiwan. Former Taichung Municipal Office, a carefully restored historic building, has been selected as the perfect location for the event. This Baroque style building complements Rodin's sculptures. It is as if we are decorating Rodin's residence in Taichung. Wow! Definitely have to go take a look. The US House Foreign Affairs Committee on Wednesday approved a resolution that aims to press the administration of US President George W. Bush to allow Taiwan to purchase advanced F-16C/D fighter aircraft to proceed, despite State Department efforts to obstruct the sale. The approval was by a voice vote without objections. The action sends the measure to the full House, which is expected to take it up soon. The measure was passed under a special House rule, which allows it to be voted on early, but which requires a two-thirds affirmative vote for it to pass. The action came at an unusually contentious meeting of the committee, after members squabbled over issues related to Ethiopia and Iraq. The Taiwan measure was delayed for more than two hours, presenting time restraints that prevented the committee from engaging in what was expected to be a spirited discussion of the issues and recent administration policies toward Taiwan. The bill, which is based on US commitments under the Taiwan Relations Act (TRA) of 1992 to supply the nation with defensive weapons, states that it "shall continue to be the policy of the United States" to make available to Taiwan arms sufficient to defend itself, and that Washington must make arms sales decisions "based solely" on "the legitimate defense needs of Taiwan," with decisions shared jointly by the Congress and the administration and not based on political considerations. Sponsors made it clear that the bill was aimed at Taiwan's efforts to buy 66 advanced F-16C/D fighters. The issue has taken on urgency because a Legislative Yuan budget measure allocating some US$448 million to start the purchase process would lapse if the first stage was not approved by the US by the end of next month. The bill reflects frustration in the US Congress over the State Department's continuing refusal to allow Taiwan to make a formal request for the fighter aircraft, despite the Legislative Yuan's approval of budgets to begin the procurement process and the mandates of the Taiwan Relations Act (TRA) on defensive arms sales to Taiwan. Sources said that many members of Congress were angry over the State Department's role in blocking the sale. They said that senior officials of the Taiwan Economic and Cultural Representative Office (TECRO) have tried repeatedly to submit a formal request for the F-16 purchase, but that the American Institute in Taiwan's (AIT) Washington office had refused to entertain the request, saying they had been ordered by the State Department not to accept it. Under the rules of US-Taiwan communications, every communication of this sort must formally go through AIT rather than directly to the US government and it is not clear whether TECRO officials have been permitted to meet face-to-face with US officials to make their case to buy the aircraft. The Bush Administration has been slowly-strangling US-Taiwan relations, and while Chen Shui-bian's high-handedness is certainly a problem, it is clear that he is not the only reason Taiwan's relations with the US have deteriorated. They said these missiles were essential to Taiwan's defense because China's soaring defense spending was tilting the military balance in the mainland's favor. "They want to make mainland China hesitate before launching any attack," said Andrei Chang, a Hong Kong-based expert on the Chinese and Taiwanese militaries and editor in chief of Kanwa Defense Review magazine. "These missiles could not only destroy military targets, but financial and economic targets as well. "They want to create massive panic," he added. There have also been unconfirmed news reports in Taiwan that the military is developing short-range ballistic missiles. Chen's independence-leaning administration refuses to comment on the existence of a ballistic missile program. The Bush administration has signaled that it opposes Taiwan developing offensive weapons, including missiles. At a time when Taipei has angered China with a decision to hold a referendum on the island's bid to rejoin the United Nations under the name of Taiwan, the deployment of missiles that could strike the mainland could further increase tensions. The US opposes the deployment of cruise missiles because they are "offensive weapons" but it wants to sell Taiwan submarines -- which it told Taiwan it could not have for the twenty years prior to 2001 -- because they were "offensive weapons." And of course, the 1,000 missiles that China aims at Taiwan receive no attention....I guess they must be defensive weapons. Whatever you may say about the weapons, hitting Shanghai with them is really a dumb idea. Nothing makes a civilian population rally round the flag faster than being bombed, which is why some radical Taiwan independence theorists have argued that the best thing to do for independence is fight a war with China to unite the island's population. Meanwhile China continues to blast Taiwan and threaten war. Oddly everyone seems to be condemning Taiwan for this behavior. This is an excellent learning experience for Beijing, and what they are learning is that if they become nasty enough, the world leaps to do their bidding. Has any nation, anywhere, condemned China's threats of force across the Taiwan Strait? Great news for the environment...Taiwan plans to spend $3 billion on wind power installation over the next few years. Offshore turbine capacity may total 360 megawatts by 2010, according to a report from the bureau, distributed at an industry conference yesterday. That may eventually rise to 1,200 megawatts, Wang said, without giving a time frame. Wind farms, both those built on land and in the sea, may account for about 5 percent of Taiwan's total installed capacity by 2010, he said. That compares with 0.4 percent as of July, according to Taiwan Power's Web site. This month the government started accepting applications from private companies for building the island's first offshore wind farm, citing difficulties in finding onshore sites. Permission for a total of 300 megawatts will be granted within three years. The government is promoting wind power, because ``we have plentiful wind resources,'' Wang said. The island's turbines are productive for as much as 35 percent of the time, compared with 20 percent in Germany, he said. Waters along the island's western coast have ``suitable'' sites for offshore wind farms, Wang said. Taiwan also has companies that produce components for turbines, including Formosa Heavy Industries Corp. and Teco Electric & Machinery Co., he said. Teco, based in Taipei, makes household appliances. Formosa Heavy, also in Taipei, is a unit of Formosa Plastics Group. Wind power of 300 megawatts can replace the equivalent of 250,000 kiloliters (1.57 million barrels) of oil and cut emissions of more than 620,000 metric tons of greenhouse gases a year, according to the bureau. 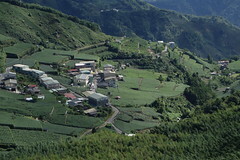 Taiwan accounted for 1 percent of the world's carbon dioxide emissions in 2004. Another reason for the government to push for wind power is to improve ``energy security,'' Wang said. Taiwan Power, the state-run utility that produces about 75 percent of the island's electricity and monopolizes transmission in Taiwan, suspended a plan to build a coal-fired station in June after a government panel recommended dropping the project because concerns the plant will boost carbon dioxide emissions. Without new coal plants the island may see its back-up capacity slip to almost zero by 2015, Tu Yueh-yuan, Taiwan Power's chief engineer, said in April. There's been some complaints about the offshore wind program in the environmental community, because planning has been haphazard and hasn't take into account its impact on local marine ecologies. But any way you slice it, this needs to be done, or we are all going to fry. SPIEGEL: Taiwan is a democracy, which cannot be said for many countries in the UN. But the fact remains that your wish has encountered resistance from the beginning -- with UN Secretary General Ban Ki-moon, but also with the United States, Taiwan's protector. Doesn't this irritate you? Chen: I wrote a letter to Ban Ki-moon, which he rejected -- a disappointment. The United States, Japan and Australia, among other countries, have refuted his view that Taiwan is a part of the People's Republic. We can understand that Washington, in response to Chinese pressure, does not support our effort. We respect this position, even if we regret it. SPIEGEL: One cannot help but think that you are using the referendum to stage a spectacle in the run-up to parliamentary elections in 2007, as well as a presidential election, even though the constitution bars your from running for a third term. The UN doesn't want to admit Taiwan, and you are alienating the Bush administration and risking tensions in the Taiwan Strait. Chen: China will only be satisfied with us if we capitulate and declare that we are part of the mainland. China objected to our decision to become a democracy and, in 1996, during our first free presidential election, fired missiles in our direction. China threatened us with military force when I was elected in 2000, and the same thing happened in 2004 when we held our first referendum. Whatever we do upsets Beijing. SPIEGEL: What can Taiwan, a small island, do to oppose China, a huge country? Chen's reference to Munich references something that has great emotional effect on Westerners. Good work. Two pages of interviews there....happy reading. Speaking of the UN entry campaign, Oct 24 is UN Day in Taiwan, now a national holiday. Taiwan on Wednesday declared that it will make UN Day on October 24 a national holiday to tell the world that the island is determined to join the United Nations. "This year is the first year that we have applied to join the UN under the name of Taiwan. We want to tell the world that we will never give up," Premier Chang Chun-hsiung told a news conference. More excellent publicity -- and more KMT-DPP cooperation. We are graduate students in the Institute of Teaching English to Speakers of Other Languages (TESOL) at the National Chiao Tung Universtiy in Hsinchu and we need your help. Currently, we are working on a project that is chronicling cross-cultural experiences of Expats who currently live or have lived in Taiwan. Our main purpose in this endeavor is to create language and culture learning material that can enhance Taiwanese students' communicative competence. In order to achieve our goal, we need more Expats to write about their cross-cultural experiences in Taiwan. We have received some funding from our school's Humanities department and can pay NT$700 per anecdote . At the moment, we have already posted numerous cross-cultural anecdotes on our blog. 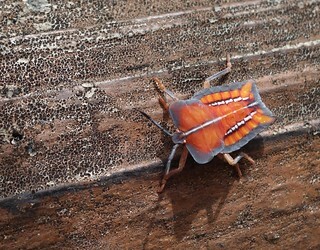 If you have time please have a look: http://wasaitaiwan.blogspot.com/ . 1. Write an anecdote of your experiences that best describe a contrast between Taiwan and your home country. Try to focus on the differences that lead you amazed, surprised, or even shocked. Please try your best to describe the situation in full detail. If you do not have a specific story, you can write about your observations or opinions of the cultural items or phenomena. 2. Please try to account for the reason why this aspect of culture or items made you feel surprised or amazed. 3. 300- 600 words is enough for the essay. 4. Please provide related photos if possible. 5. Please write in a more academic style and try to be creative and humorous!! Payment can delivered directly to you by hand if you live in Taipei, Hsinchu, or Tainan City. If you do not live in one to these cities, we can send payment via direct deposit into your bank account. One of the quirks of Taiwan's Constitution is the weakness of the Presidency. During the martial law era, and into the presidency of Lee Teng-hui, Taiwan's presidents derived their political clout from their position as Chairman of the Party, not from occupying the chief office of a government that was never intended to be more than the candy coating over a Leninist one-party state. That precedent has unfortunately carried over into the DPP era. One problem the DPP has always faced is that its only model for how a political party should conduct itself is the KMT. During his first administration President Chen was also the party Chairman. That's far too much responsibility for one man, but that's the way it has always been done in Taiwan....so that's the way it was done, much to the detriment of the DPP. "It is true that the party would be stronger and better integrated in terms of campaign strategy if the president were the chairman," Su told reporters yesterday morning as he returned from St. Lucia, where he served as Chen's envoy. The DPP caucus on Saturday urged Chen to consider doubling as DPP chairman. Yu, who was campaigning for the party in Toronto at the time, faxed his intended resignation late on Friday night, but added on Saturday that he would not leave his post until after the party's 21st anniversary and national congress, scheduled for Sunday. Yu had said on Monday he would like to fulfill his responsibilities and oversee the holding of the two major events. This, however, drew criticism and speculation from DPP presidential candidate Frank Hsieh's (謝長廷) camp, which suspected Yu may have postponed his resignation until after the party congress to ensure that his amendment stipulating "Taiwan" as the national title appears in the party's final "normal country" resolution. Hsieh's camp has questioned the timing of the passing of the draft, fearing it could scare off voters. If the president were to become DPP chairman again, the fact that he controls the government as well as the party would leave him without a buffer zone to "shield him from US pressure" against actions taken by the party such as the proposed referendum on UN membership under the name "Taiwan," Lo said. Both Lo and Chen Chao-jian said Hsieh, while not facing charges, faces a dilemma during the potential power struggle within the party. "If the president takes over the DPP chairmanship, the next presidential election will become a duel between Chen Shui-bian and [Chinese Nationalist Party (KMT) presidential candidate] Ma Ying-jeou (馬英九)," Chen Chao-jian said. He said any interference by the president in Hsieh's presidential campaign would be obvious under these circumstances, and could end up "marginalizing" Hsieh in the campaign. Lo agreed, saying that the president has always been better at setting political agendas than Hsieh. "It is impossible for Hsieh to ask Yu to stay on as party chairman because Ma resigned [as KMT chairman] over his indictment in the special allowance case," Chen Chao-jian said. "The best choice is to have someone from his own [Hsieh's] campaign assume the chairmanship, but this violates the party's regulations ... therefore, Hsieh cannot but agree to having Chen Shui-bian as head of the party," Chen Chao-jian said. Lo said Hsieh had dealt with the indictment of Yu "inappropriately," referring to Hsieh's promise on Saturday that if elected he would push for an amnesty for government officials under investigation over their special fund expenditures. Hsieh's move had distanced himself from Lu, Yu and Mark Chen, which has contributed to the divisions within the DPP and harmed his personal image, Lo said. Hsieh's support of Yu's resignation also left him no maneuvering room in terms of other investigations he faces, Lo said. However, Tseng Chien-yuan (曾建元), an assistant professor of public administration at Chung Hua University, said Hsieh's proposal of a pardon was a "courageous and proper act." Tseng said Hsieh was proposing a solution not just to single cases but to a "universal problem inherent in traditional ethnic Chinese politics." "This problem has turned our judiciary into a tool of political wrangling," Tseng said, adding that Hsieh's proposal showed the DPP candidate had done some thinking. It's good to see the amnesty for the special funds cases still being discussed. Hopefully once Hsieh is elected that will be carried out. It seems that even if Chen Shui-bian does not become DPP Chair, one of his people will. The DPP has done a good job of bringing up talent, so perhaps they will get someone young in the position who can gain some useful experience at the national level. Then again, perhaps they will get Chen Shui-bian. Either way, it appears that Chen is not going to quietly step into the Elder Statesman role that Lee Teng-hui has created. Speaking at a regularly scheduled news conference on Wednesday, Li Weiyi, spokesman for the Cabinet's Taiwan Affairs Office, said Beijing Olympic organizers had demonstrated "extremely full sincerity and patience" in the negotiations. "At this stage, I can only express regret," Li said. "However, as regards this matter, we still strongly welcome Taiwan compatriots to actively participate in Olympic Games-related activities such as sports culture exchanges, Olympic training and competition activities, Olympics-related volunteer activities and so on," Li said. Taiwan, which has never been included in an Olympic torch relay, had objected to its placement on the route ahead of Hong Kong, saying that it would make it appear to be part of Chinese territory. Taipei also accused Beijing of introducing last-minute conditions on the display of Taiwanese flags and national symbols along the route. Beijing, which claims the self-governing island as its own territory, said Taiwanese Olympic officials had signed an agreement on the island's inclusion in the relay, but raised objections in April after Beijing announced the route. It's funny to imagine this as an act of reaching out. If Beijing wants to reach out, it can open negotiations with the legitimately elected government of President Chen Shui-bian, remove its missiles from their sites just across the Strait, or stop suppressing Taiwan's international space. You know, concrete stuff. This is pure theatre. Sad that AP reported it this way. The comments Wednesday followed last week's clanging end to 10 months of negotiations on taking the relay to Taiwan, which fell apart over Taiwan's opposition to its position in the relay ahead of Hong Kong and Chinese conditions that no signs of Taiwanese nationalism be seen. Pinch me friends, that's Taiwanese nationalism right there in print. The calm before the storm of the new semester, Moon Festival gives everyone a couple of days off to drive on crowded highways to pack into remote places to barbecue slices of meat so thin that poor people use them for window panes. This handsome fellow is a famous Taiwan blogger and a student at NCKU with me. My good friend Dan F., Tainan resident, now liberated from ownership of a bar. At my university, after cleaning the rooms, the students in the Labor Education program carefully arrange the chalk in this way. In order to retain my current employment, further commentary on this practice will not be offered. We went in to renew my son's visa the other day. My wife, forty years of experience in dealing with Taiwan's bureaucracy, came prepared with a portfolio of pictures. All in vain, for it was the Goldilocks Bureaucracy: Is this picture OK? No, too small. This one? Too big. This one? Background not white enough. This one? Can't see his ears. This one? Clothing is too light a color. How about this one? How about you go to the photography shop and have some new ones made, lady? But the service was good, as always, and they let us process the visa and mail in the photos. Taiwan is a helluva a lot more flexible than it used to be. But I did snap these Thai workers waiting for their work permits. [It turns out that apparently the government gives these books to everyone, foreign or not, so I deleted my previous comments.] But for foreign brides, maybe the government needs to put out a series on Who To Contact When Forced Into Prostitution, Five Minute Martial Arts for The Abused Wife, and How To Make My Fine Ethnic Cuisine So It Tastes Like Stewed Pork Over Rice. In Wufeng one of the local neighborhoods was having some kind of development meeting. The morning market on a holiday. I had a lot of fun today shooting kids on motorcycles. Please, folks, don't try this at home. Everyone knows that it is impossible to have an accident near one's own home. Anyway, it will certain be the other guy's fault, and he'll pay for it. Besides, they'll just grow out of the helmets soon....and as I shot the first cycle, a second drove into the pic there on the left, another two unhelmeted kids aboard. Old ladies make the world go round. On this bright morning I met up with the brilliant Andrew Kerslake and his beautiful wife Joyce for a trip to a Taichung landmark: the Second Market, located on the corner of San Min and Chungcheng inside the building to the left in the pic above. This market consists of clothing shops, cloth and sewing supplies, fruit, vegetable, and butcher stands, dry goods shops that sell a lot of Japanese stuff, and of course, eateries. This popular eatery was packed for lunch. This fruit stand has been here for decades. Andrew told me it was once owned by the husband of the indomitable Communist revolutionary Hsieh Hsueh-hung, an early and forceful advocate of Taiwan independence under the banner of Communism. Many of the groceries carry a range of imported Japanese goods. The Second Market is a historical landmark. Andrew and I, seeing all the original wood construction still extant, opined that it must be Japanese period, but we talked to one of the stall owners who assured us it was all post-1945. Very little of the Japanese-period market remains, apparently. The pillar in the previous picture stands in the center of the market, whose plan is shown here. The government "renovation" installed these faux-historical facades. No market is complete without a place to sit and snack. Still has plenty of that great old Taiwan feel. Dried shrimp. Anyone who invents a machine that will devein shrimp will be my friend forever. A butcher hard at work. Joyce looks on as Andrew and the stall owner exchange opinions about a baseball team other than the Yankees. A thing almost unheard of in the Island Kingdom of Wang Chien-ming. A panorama of the building housing the Second Market. A composite of two pictures. Down to Tainan for class, I panned the crowds waiting for the train at the Taichung Station. Composite of five images. Islaformosa blogs his father in law's myna bird, which imitates car sounds. Taoyuan Nights is still looking for the right girl. ROC the Boat has a great review of Jim Mann's The China Fantasy. Don't miss all his posts on the UN referendum mess either. Michael K. has a great post on 419 scams. Thomas Huang writes thoughtfully on the UN bid. So does the Foreigner. Sponge Bear visits Taoyuan and comes back with loads of pics. Anarchy in Taiwan has a post on the migrant workers mission digest. Taiwan Echo blogs on the meaning of "Taiwan is the ROC." PODCASTING: Mark Forman's Getting a Leg Up has some great music. Taiwan’s rejection—for the fifteenth time in a row—by the agenda-setting committee of the General Assembly of the United Nations last Wednesday may well be seen, before too long, to have been a turning point. After all, who can believe that Taiwan will be turned down another fifteen times? Chinese diplomats are nervous. They don’t want Taiwan even on the agenda, because they fear, correctly, that an open discussion might not go their way. They know that no one believes on principle that Taiwan should be excluded. Other countries are simply afraid of China. How long can China continue to intimidate otherwise free-thinking nations? The answer is, not indefinitely. The Bush administration portrays Taiwan’s increasingly audible demands as no more than local political posturing and manipulation, for which their elected president is to blame, and resolutely declines comment on the merits of Taiwan’s case. For the U.S. side, we need to recognize the issue of identity in Taiwan is not a political game, it’s not a tactical move in Taipei, it’s a very fundamental issue, not at all unique to its 23 million people…. Look at Korea, Japan, the national identity is at the top of the agenda in every country in Asia and there is no reason why Taiwan should be any different. Thakur and Green are absolutely right. The issues and processes they describe will not disappear or cease simply because we and China wish they would. We are dealing with nationalism. Difficult as it may be, we need to think ahead. Waldron is a longtime Taiwan supporter. It is curious to juxtapose the Zogby poll results that show liberals strongly support Taiwan's entry into the UN, with the fact that liberal/left commentary on Taiwan is practically non-existent. China's top advisor has lashed out at Taiwan leader Chen Shui-bian's push for a "referendum" on UN entry, saying the secessionist move would "endanger peace and stability across the Strait and the Asia-Pacific region." Jia Qinglin, chairman of the National Committee of the Chinese People's Political Consultative Conference (CPPCC), made the remark when meeting a delegation of the China Council for the Promotion of Peaceful Reunification here on Monday. "The 'Taiwan independence' secessionist activities are still rampant," said Jia. Disregarding Taiwan people's call for peace and strong opposition from international community, Chen had been obstinately promoting a "referendum" on the island's entry into the United Nations. Chen's insistence in maintaining a "Taiwan independence" policy" will jeopardize the essential interests of people cross the Strait, and will endanger peace and stability across the Strait, and even the Asia-Pacific region", Jia said. But Beijing is facing a serious challenge. It is quite clear that Chen Shui-bian's referendum plan is largely driven by Taiwan's election politics as much as by Chen's own craving for personal legacy. It is also obvious that despite serious warnings from both Washington and Beijing, the referendum is most likely going to take place. How Beijing should react is a test for the mainland leadership's acumen as well as resolve. By keeping the focus on Chen, Beijing blunts the fact that Chen is speaking for the majority of Taiwanese (at least on this issue), and that at bottom it is Taiwanese nationalism and the growing Taiwan identity that is driving this referendum move, and creating conditions for its success in Taiwan. Focusing on Chen means that Beijing can pretend there is no such thing as Taiwan nationalism. Sixty years after Roman Catholic and Presbyterian missionaries first converted large numbers of Taiwanese aboriginals in their leafy mountain villages, Christianity here is entering a new phase. Adherents are leaving the faith. 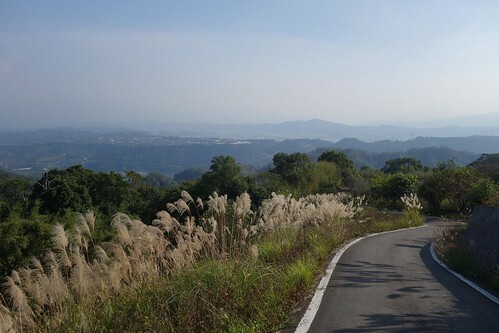 Faced with a declining agricultural economy in their hard pressed rural communities, more and more upcountry Christians are moving to Taiwan's bustling cities, where worldly temptations and a bewildering social framework are challenging their beliefs. At a recent Sunday morning service in the nearby community of Laolauran, American Presbyterian missionary John McCall tried to rally the faithful, as local hill tribe pastor Sakulu translated his Mandarin Chinese sermon into the aboriginal language of Paiwanese. But the church was mostly empty, and the worshippers included few if any young adults. The attitude of Dzwo and thousands of hill tribe Taiwanese like him represents a fundamental challenge to McCall and the legion of local pastors he and his predecessors have helped train at three Presbyterian seminaries around the island. 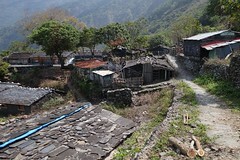 Ever since Canadian George Mackay came to Taiwan in 1871, the center of the missionary enterprise on the island has always been its hill tribe people, whose ancestors migrated here from south Pacific islets about 6,000 years ago. The Paiwan and others once proved much more receptive to Christianity than their lowland neighbors, who followed Buddhism, Confucianism and Taoism. Today, some 65 percent of the hill tribe population of 460,000 is Christian, about equally divided between Presbyterians and Catholics, according to government statistics. That compares with about 2 percent of Taiwan's 22.5 million Han Chinese, who originated on the Chinese mainland, where they constitute a large majority. Sociologist Jonathan Unger of Canberra's Australian National University said the hill tribes were more open to the Christian message largely because of the prejudice they felt from the Han. Other Asian minority peoples, in places like southwest China, Laos, and upland Thailand, also were more willing to embrace Christianity, he said. 'It's a common phenomenon that a minority people considered inferior in many respects by the dominant culture will protect itself by turning to a world religion,' Unger said. Rangalu, a 45-year-old primary school teacher in the hill tribe village of Sapulou, said the discrimination he experienced played a key role in forming his own Paiwan identity. His wife Muni, 39, cited another reason for Christianity's popularity: the health care and other social services provided by foreign missionaries. But now, she said more local young people are going to Taiwanese cities in search of work. 'They are discriminated against, they lose their connection to the church, they start to drink, their lives become unstable,' she said. Placed near the base of a steeply rising mountain covered with coconut palms, stands of bamboo, and verdant rows of acacia trees, many of the homes in Sapulou village are decorated with handsome wood carvings depicting traditional Paiwan symbols: serpents, warriors holding spears, and hunting scenes featuring wild mountain pigs. Sapulou lies near the southern extreme of the 240-mile mountainous spine that runs down the center of Taiwan and hosts its 13 government-recognized aboriginal tribes. Dappled with satellite dishes _ and only a few miles removed from a railway stop on the line to the mostly Han city of Taidung _ the village is not nearly as isolated as some other aboriginal villages in the high mountain country. In one of the village's more solid looking homes, Kanpi and his wife Lumiya, both 70, welcomed a group of foreign and local visitors with a traditional Paiwan melody embellished with modern Christian lyrics. The walls of the simple structure were covered with the spoils of Kanpi's hunting career _ assorted pig skulls, eagle feathers, and deer skins. They served as poignant reminders of the recent past, when hunting and subsistence farming were the core of the Paiwan existence. 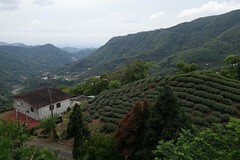 One of the visitors was McCall, who first came to Taiwan in 1996 after being inspired by stories from retired missionaries near his home in Black Mountain, N.C.
A tall, youthful-looking 49, with a thick shock of salt-and-pepper colored hair, McCall said that after almost 12 years in Taiwan he remained committed to his mission of helping to prepare young hill tribes people for ordination into the Presbyterian ministry. But mindful of Muni's earlier remarks, he acknowledged the challenge of keeping faith alive for a new generation of hill tribe Christians. In In Search of the Hunters and Their Tribes an article by Henrietta Harrison points out that during the 1950s the aborigines converted to Christianity en masse. Yet that conversion was an attempt at assimilation, not an escape from it or a response to it -- missionaries reported that the young demanded Bibles in Mandarin so they would not be marginalized, and in 1957 a missionary visitor reported that there was no future for indigenous language evangelization. Desire for assimilation as a "Chinese" was strongest among females, who did most of the heavy work, and could escape by marrying a mainlander. In that same volume an article by May Bo Ching on the Atayal (written in 1995) noted in passing that although many aborigines claimed to be Christian, they knew little of the religion and did not attend Church. Perhaps the success of Christianity among the aborigines has always been overestimated....and now that aborigines in the cities lead more anonymous lives in which they are free of social pressure to attend church, they are simply shucking off what had always been mostly social practice rather than inner experience. A summit in the Marshall Islands next month is expected to discuss Taiwan’s decision to block tuna fishing vessels in Taiwanese shipyards. The vessels are being built in joint ventures between Taiwanese companies and the governments of Tuvalu and the Marshall islands. But the Taiwanese government has stopped their release amid concern by scientists about over-fishing because of the increase in the number of vessels. The actual story is a complex one. Pacific Magazine describes the tale from the point of view of the fishing fleet operators. Koo Kwang-ming, chairman of Koo's Fishing Company, and Foreign Minister Gerald Zackios both expressed concern about the impact that a new rule enforced since June is having on both Koo's and this central Pacific nation. Koo and Zackios are attending the first Taiwan Pacific Allies Summit in Palau this week. "Taiwan must provide support to develop the fishing industries (in Pacific Islands) to increase their income," Koo told Pacific Magazine. "For me, it is very clear how to operate a fishing company to make money, and how to help support development of local industry." Koo's currently operates one purse seiner in joint venture with the Marshall Islands Marine Resources Authority, and its five other purse seiners are all flagged and based in Majuro, the capital of the Marshall Islands. But a new rule enforced by Taiwan's Council of Agriculture starting in June is holding up release of two purse seiners just completed at a cost of $10 million each. Zackios noted that both vessels were contracted well before the new regulation went into effect. Koo is confident that the problem is only temporary and will be resolved. Critics who argue that the new generation of sophisticated fishing vessels are depleting fish stocks say that flagging vessels in island countries is merely a tactic to allow more Taiwanese vessels to operate, since under a new regional agreement for managing tuna on the high seas, domestic fleets of island nations get preferential treatment. But Zackios said Koo's Fishing Company, because it is based in the Marshall Islands, is generating jobs and revenue for the Marshall Islands. Koo blames pressure from the Japanese government and fishing industry on Taiwan for the new regulation "that is impeding the development of Pacific Island fisheries. Japan is pressuring Taiwan to not allow Pacific Islands to have a greater number of fishing vessels." "We've done everything to raise the issue with the (Taiwan) Council of Agriculture to release the boats," Zackios told Pacific Magazine. "It is having a great impact on economic activity in the Marshall Islands." Koo added that the new Taiwan regulation forbids the export of the boats to the Marshall Islands, even though they were contracted for by a Marshall Islands-based company. Zackios said that Koo's, with its fleet of six vessels and a transshipment operation in Majuro, employs up to 70 Marshall Islanders. Gaining release of the two new vessels "is of great importance to the company and to our domestic growth," Zackios said. The aim is to expand the Koo's joint venture fishing fleet with the Marshall Islands to five or six vessels, Koo said. Zackios said that as each new purse seiner comes out of the shipyards in Taiwan, the Marshall Islands joint venture company intends to buy one of Koo's Fishing Company's older purse seiners. Koo said he is committed to developing the domestic fishing industry in the Marshall Islands. Pointing to past failed attempts to operate purse seiners by the Marshall Islands and other Pacific Islands, Koo said that "before, Pacific Islands didn't know how to develop their fisheries industries. Now, I have a joint venture Marshall Islands company and it knows how to make money." At a conference on the Indonesian island of Bali in April, Japan warned the new boats could ruin the sustainability of the Pacific's tuna resources, a claim dismissed by Taiwan as sour grapes over increased competition. The United States also expressed concern about the number of super seiners under construction and along with South Korea called for a moratorium. Fiji called for a total ban on the vessels. Michael Powles, chairman of the Bali meeting which was aimed at setting up a Western and Central Pacific Fisheries Commission, said for many years it had been assumed Pacific tuna stocks were self-sustaining. "But there are now those who say it has reached a really crucial point. There is a very real issue here .... It is such a critical resource," Powles told AFP. Acccording to the article, Taiwanese fishing companies operate a few dozen boats under Vanuatu and Marshall Islands flags of convenience. At the Bali conference Japan said the bulk of the Taiwanese vessels were super seiners and it alleged that Taiwan was building more vessels. It named seven Taiwanese companies and alleged they were intentionally circumventing licensing control and were fishing excessively. "In short, it is surprisingly evident that the Taiwanese fishing industry increased its purse seiner fishing capacity dramatically," Japan's delegation said. But Wu Hsin-chang, chief of the Pacific fishery section at Taiwan's Fisheries Agency, denied Taiwanese boats were threatening stocks and said Japan was upset by the fierce competition of the industry. "We object to any attempt to oppress Taiwan's fishing development under the pretence of conserving fishing resources," he told AFP in Taipei. But Wu said Taiwan would comply with any new regulations restricting fishing in the Pacific. "What we ask for is a fair and transparent mechanism which gives us a clear idea of what is allowed and what isn't," he said. He also said Taiwan had no jurisdiction over "flag of convenience" boats and countries which licensed them had to supervise them. "The responsibility doesn't fall on Taiwan just because they are operated by Taiwanese investors," Wu said. LOL. Taiwanese investors aren't responsible even though they are the boats of Taiwanese investors.